The hunting area is as wild as South Africa gets. Exclusive family owned hunting area. Above average trophy quality animals. Hunting on foot, like in the good old days. Luxury Lodge accommodation and the bonus of waking up to the roar of lions in the background. 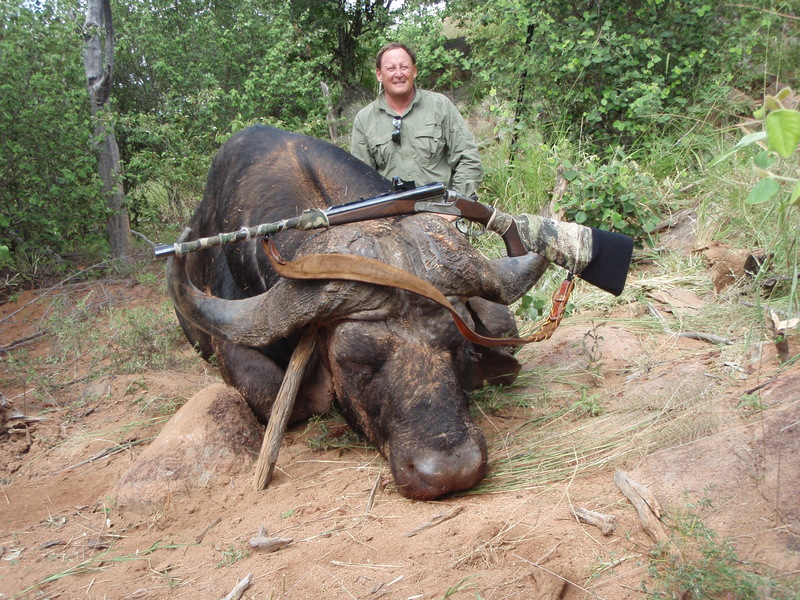 Among hunters some African areas have become household words: Serengeti, Kalahari, Limpopo. In South Africa’s far north the winding Limpopo River forms her northern boundary. A generation ago, when South Africa’s wildlife was recovering, the Limpopo Valley and Limpopo Province developed as the epicenter of the country’s emerging safari industry. Today, the result of decades of good management, the riverine thickets, rocky hills, and thornbush of the Limpopo region offer both great species diversity and superb trophy quality. Pieter Slabbert’s Bandur Safaris in northwestern Limpopo Province is a family-run operation hunting on large property that they have strived to keep wild and natural. Both by region and outfitter this is a great place to hunt for really big kudu, and of course the list of available species is varied and extensive. Accommodations and food are superb, and the experienced Bandur staff stand ready to make your dreams of Africa come true. Pieter Slabbert’s Bandur Safaris: A great safari in South Africa’s Limpopo Province.